Is There a Good Reason To Use Microsoft SkyDrive In Addition To Dropbox & Google Drive? Cloud-based file storage has become, for the lack of a better word, boring. Dropbox used to be the only serious game in town, with SugarSync and friends trying to compete but not really succeeding. And then Google Drive came along with Google’s immense resources and technical know-how, and not to be outdone, Microsoft quickly upgraded its existing SkyDrive service. To make sense of this wealth of services, we’ve published a Cloud Storage Showdown The Cloud Storage Showdown - Dropbox, Google Drive, SkyDrive & More The Cloud Storage Showdown - Dropbox, Google Drive, SkyDrive & More The cloud storage scene has heated up recently, with a long-awaited entry by Google and a revamped SkyDrive from Microsoft. 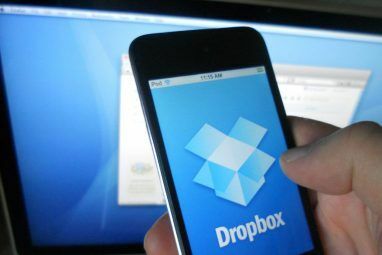 Dropbox has gone unchallenged by the major players for a long time, but that’s changed... Read More quickly comparing them all so you could try to pick the best one. But today I’m not here to convince you to pick the “best one”, even if there is such a thing. Rather, I’ve decided to take a closer look specifically at the newly upgraded Microsoft SkyDrive and attempt to answer the question – if you already have Dropbox or Google Drive, should you even bother with SkyDrive at all? Let me start off with SkyDrive’s most compelling feature, at least for me. While new users start off with a generous 7GB (compared to Google Drive’s 5GB), existing users can/could get 25GB for free. I say “can/could” because Microsoft was a big vague about this promotion. When I logged into SkyDrive a few weeks ago, it simply let me upgrade my existing account to 25GB. It is, however, unclear whether or not this promotion is still running. Microsoft’s official post says you have a “limited amount of time” to make the upgrade, and has not been updated since it was posted. Nevertheless, if you are fortunate enough to be eligible for this upgrade, it makes using Microsoft SkyDrive a no-brainer. Not as an exclusive cloud storage solution (for reasons I’ll get into later), but definitely as a quick way to transfer large files to friends and family. The per-file upload limit is 2GB (if you upload it using the SkyDrive windows app), which should be enough for just about anything save for Blu-ray rips and the like (things you shouldn’t be sharing anyway, right?). 100GB: SkyDrive $4.16/month, Google Drive $10/month, Dropbox $20/month. As you can see, Microsoft is seriously undercutting the market here, and is significantly cheaper than Google Drive, not to mention Dropbox. In fact, Dropbox is almost five times as expensive as SkyDrive – a crazy price gap for a service that’s virtually identical, at least when used on Windows. This is an interesting feature that could also be a major security hole if your password isn’t so secure. SkyDrive lets you access any file on your machine remotely. 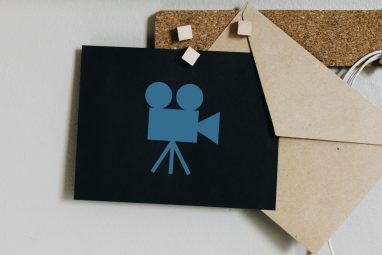 That’s right – not just files stored in the SkyDrive folder, but virtually any other file, as long as the machine is on, connected to the Internet, and is running the SkyDrive client. I personally use CrashPlan, which is pretty much the best cloud backup service out there, and it lets me get to my files from anywhere even if my computer is off (because the entire computer is stored on the cloud). But CrashPlan costs money; if your computer is connected to the Internet and on all of the time (like many people’s home computers), SkyDrive’s “fetch files” feature can be a great way to get at your files from anywhere you have Web access. Sharing any folder with anyone isn’t news, right? After all, you can easily do this from Dropbox. But there’s one huge difference: Microsoft decided to include an easy “Download folder” link for every folder you share, even if the person viewing it isn’t logged on, or doesn’t have SkyDrive. This is huge, because it means I can share my photos with anyone and they can download an entire day’s worth of images with a single click, without having to install anything. Dropbox doesn’t let you do this. You can view the folder without being logged on, but there’s just no way to download it. As for Picasa Web Albums, Google’s popular way of sharing photos, you can somehow download the folder, but it’s definitely not as simple as this, and was daunting enough to confuse my non-techie relatives. So, Microsoft gets points for this feature, and combined with the generous storage on SkyDrive, this will be one of its primary uses for me. 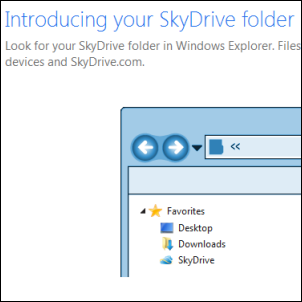 That cheerful-looking droid is representing Browser for SkyDrive, Microsoft’s recommendation for an Android client for SkyDrive. That’s right, given Windows Phone 7’s “phenomenal” success, I guess Microsoft feels Android is no big deal, and they can just ignore the world’s most popular smartphone OS. So, no official SkyDrive app for Microsoft – a puzzling move, to be honest. As long as you don’t really need SkyDrive on your Android device, though, you should be fine. If you are an existing user and can snag 25GB for free, it’s a fantastic deal. If you often need to let people download folders, it’s an excellent tool. If you’re looking to buy a paid storage upgrade, it will give you the most bang for your buck, by far. Are you using SkyDrive? Will you be using it for some things, now that I’ve given you ideas? And did you manage to get that 25GB upgrade? Let me know below. I have a simple issue with SkyDrive, similar to DropBox and Google Drive which make SugarSync a no-brainer for me: it's that these guys all require you to put your files in their folder, which is then sync-ed to the web. My files- like a lot of folks I'm sure - are not in any My Documents folder, I have a distinct directory tree of folders on my hard drive, within the C:\ drive. I deliberately do not want a "my documents" type of approach. Therefore, in one fell swoop, SugarSync beats them all hands-down as you can sync any folders on your computer. I've upped my storage quite a bit by referring friends and I can now do all my daily backups there except my music, way too big a folder. Sugarsync also performs great for sharing everything and multi-PC collaboration on doc's etc as well as backups. they just intro'd a new look and PC client which is pretty cool, as far as I can tell their performance is fine these days. However what I wanted to ask you is a simple question re SkyDrive, which I do like quite a lot. I have 25GB's as I was an early user of Windows Live - I also have a few other Hotmail/Outlook accounts with 7GB's each. - Quite simply, when I sync from the "SkyDrive" folder on my C drive, all files & folders in there get sync-ed to SkyDrive online. Great. But if I un-sync a folder, or delete it from my PC, from my reading on microsoft.com, those files get deleted online too. However what I would like to do on SkyDrive is to "dump" some large old folders which I don't need daily, if ever, where I can retrieve them when and if I need them. Again, from my reading, if you upload from the SkyDrive website - not using the Windows SkyDrive client - then any files and folders you upload this way will be backed up and stay in SkyDrive online. Can you confirm if this is indeed your understanding, and if this is a safe way to consider these files as "backed up"? I use DropBox and Google Drive, and I've tried out many other cloud storage services. I mainly use SugarSync to backup my PC and share with friends, and Dropbox with friends who aren't on SugarSync yet. I don't have a use for Google Drive or Amazon, and I think I have enough storage for now, except I need a reasonable alternative to park and backup my 350GB's of music files . . . . I wonder how many other users want a pure "backup" approach like this and how many really need a "sync" approach? To me these are two different things. It seems that SkyDrive does offer these two approaches but I can't see that it's clearly spelled out anywhere either. Thanks in advance, I'd be grateful to hear your thoughts on this. 1) The feature you're looking for is called "selective sync," and it's something Dropbox has, but Skydrive doesn't (I think). I'm not totally sure Skydrive doesn't have it, actually... but I think it doesn't. 3) I definitely agree that there's a difference between cloud sync and cloud backup. For backup, I warmly recommend CrashPlan. I've been using them for over a year now, and they're just fantastic. hmmmm but i already have 45 gb on my dropbox, all obtained by free methods ! so should i or shouldnt i switch? also i like the dropbox addons or apps or what ever you call them, automatically having my email attachments sent to dropbox and automatically converting epubs to pdfs so that i can print the has already become a part of my life, so is there really that much difference ?? Woah, 45GB for free is impressive! I didn't even know you can get so high. In that case, I really wouldn't switch. Great article, Thanks. I have a question...Can Sky Drive be used/accessed/downloaded etc...if you are using Ubuntuu, or even a mac?? Or are we restricted to Microsoft Windows?? I'm afraid the official client is Windows only at this point, at least as far as I know. ES File Explorer for Android is a free, featured all-in-one file manager & application manager & task killer & cloud storage (dropbox, google drive, skydrive ...) client & ftp client which explores your phone and your computer. basically its also a file explorer for cloud storage (dropbox, google drive, box, skydrive). PS - I am not promoting this app. I love its features. I do agree -- ES is an excellent file manager, really. Before I bought Root Explorer, I used it quite a bit. I must admit I didn't know about its cloud sync abilities -- thanks for telling me about those! Skydrive is good in my opinion, and it gives 25GB to existing users. What I really like about Skydrive is that you can edit Microsoft Office files directily online or collaborate with other people on the same document without having to download. Much like Google does with its Google Docs. I mean Google Docs is great but there still exists some dependency on Microsoft Office. You cannot do that with the other options. I wonder why so many think they are limited to just one skydrive account? I currently have 7 25gb accounts and 2 of the 7gb accounts. I use them to back up family pictures and home videos. I see no reason to pay for their "premium" services, when the free ones work just fine for my purposes. Add me to the list of those that couldn't do the 25GB upgrade. I made my account when the first announcement came out about it ending... oh well. Add that to the 7GB Skydrive, 5GB GDrive, 3.2GB Dropbox and 5.2GB SugarSync (which I forgot I even had)........ and that's 70.4GB of cloud space. I think I'm good for now. There is an Android app that can access Skydrive... SanDisk Memory Zone. (It can also access all the other ones I have too.) I don't have anything actually stored on Sky right now, so I don't know how much it can do with it, but does have some sort of access. Box is a real disappointment for me, actually. I mean, sure, the 50GB is nice, but they don't have a desktop client that syncs with a folder -- so it loses a lot of the original appeal. I work for an organization that relies heavily on MS Office. The Google Docs-like ability to work on office documents, spreadsheets, etc...online, even if you don't have MS Office at home (assuming anybody takes work home...), is super convenient, as is the ability to make whole folders of data available to share. Wow, that's weird! I tested that feature before writing it up using a non logged-in session. When you go to the folder in the overall list, do you see it shared with "Some People"? "Private"? And within the folder, on the link list to the right, under "Sharing", what do you see? It should say "People with a View Link" -- is that what it says? If it's not too private, I'd love to take a look at the folder and try to figure it out. If you want to, feel free to send me a link to erez [at] makeuseof.com. Well, I originally used IDrive, which offered 2GB free storage which was then upgraded to 12GB when I referred a couple of friends. However, this was a very slow service! Then I got my first android phone, and while browsing the app store came across the box.com app. So I downloaded, installed, registered and have used it ever since. I logged in one day on my phone and got a message saying "congratulations, you have been upgraded to 50GB of storage!". I have no need for such a vast amount of storage but this is free of charge and the service is great! I can back up my phones contacts to a .csv file and upload it to box, and also upload any file from my Laptop, which I can then transfer to my phone if I need to. I have a skydrive account and use it for only one purpose: Syncing my pc onenote files with my android onenote app. For everything else I use the more expensive sugarsync. Initially I was drawn to sugar sync back in the days when it was the only cloud storage service offering a 5 gb free account. 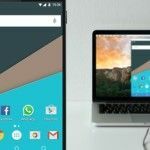 I stick with sugar sync because it is so easy to manage and allows me not only to share files with other people but sync folders with other users. Also, I am able to manage multiple PC's from within one account, choose what must sync where and has a pretty good archiving feature. Sugarsync also has an android app which gives me access to my files when on the move. Sugarsync has saved my bacon on more than one occasion when I have accidently deleted files and once when my primary laptop crashed. Skydive just does not have this flexibility. Not sure about google drive or dropbox? I used to really love SugarSync, but then I had serious performance issues with it. It just stopped working for me! I used to when syncing files between home and the office, and a few times I got to the office, and the files I needed simply did not sync. I put them in SugarSync at home, and the sync totally failed -- it wasn't even "in progress", and both computers were connected to the Internet. After a couple of such failures I had to stop using the service. Not entirely sure by what you mean about SkyDrive not supporting file types. You can use SkyDrive to store absolutely any file type -- even just random binary files, afaik. I think Kyem Ghosh is referring to the Google Apps which are integral to Google Drive. You can open and work with various file types directly in Google Drive. Essentially you're using Google Docs and all the manipulation you can do there. I don't think DropBox does anything similar IIRC except the ability to "preview" image and video files. Apps in the Google Chrome store apparently can work directly in Google Drive. You can also sync any file type created in Google Drive with the local computer. I do like the ability to share files on the web, combined with a free Word-Press blog you can have your own website, and can post and update files quickly. I have not seen any application for Linux to sync with a folder. I am not a big fan of Google or Microsoft, I did sign up for Google-Drive, I don't think I will be using it for anything its only 5GB I can get that from Ubuntu-One, I have the document creators in Sky Drive. If I were to upgrade anything it would be the Ubuntu, I would hope they are more for their customer, instead of Microsoft and Google's corporate interests. I've been dumping off daily mysql 70mb website backups into my skydrive folder it's good enough for what i want to do. Last time i tried dropbox it had some file upload limit of 200mb/file or some cheapskate nonsense like that i haven't used it since. skydrive uploads at my max upload speed so i have no complaints. When google drive first came out i was getting errors syncing the same mysql files. either way i don't really see dropbox adapting prices to the competition a fatal mistake that will slowly burn down dropboxs buisness. Yup, fully agree with you on Dropbox pricing there. But I think once the alarm bells start ringing loud enough in Dropbox HQ, we'll see them do -something-. I hope so, at least, for their sake. The upgrade to 25GB does not appear to be working any more. I've had a Windows Live account for some time (never used, however), and I just logged in to SkyDrive and there's no option to upgrade - 7GB is all I've got. Which is fine because I can add that to the 5GB Google Drive and 2GB DropBox I have - and then get another 5GB free from Amazon S3 for a total of 19GB - free. Interesting -- what S3 client are you using? Do you have something that uses S3 and works like Dropbox? No, I'm not using a client for S3, just the regular Web access. No doubt sooner or later there will be a Linux client for it. Also, Comodo just started offering a free 5GB cloud storage service, the Comodo Cloud. Interestingly, their only upgrade is to a full 250GB for $9.99/month or $99.99/year. I've gotten an account there, too. You register for the account directly online and it is instantly available. It has a client but Windows only. The client is a pop-up drag-and-drop target which pops up whenever you drag a file. Seems convenient. configures your S3 user keys and optionally a GPG encryption key and whether to use HTTP or HTTPS for secure transport. s3cmd ls lists all your buckets. It can also rsync files to Amazon S3. I haven't used this yet, but it looks adequate for command line use and for use in backup scripts and the like. It's available at s3tools.org. JungleDisk of course uses Amazon S3 as their backup target, so their client works with it. They charge $2/month for 5GB of personal space or $3/month for a "Desktop" version of personal space. They also have a Business version for $4/month for 10GB free for Workgroups and $5 for servers. Above those rates you just pay the Amazon S3 storage fees. Also, I just notice the backup utility Duplicity works with S3. That is a Linux command line tool that front-ends the Linux rsync utility. Finally maluke.com appears to offer a paid S3 Backup utility for Windows (Mac and Linux allegedly coming), for a $35 one time fee for personal use and $75 for business for one computer. They also run a free FTP/SFTP/WebDAV Gateway to Amazon S3 which can be used with any FTP/SFTP/WebDAV client. There's also a command line tool called S3FS-C which establishes a Linux FUSE user space file system for S3. This means once configured, you can use standard Linux utilities, command line and GUI, on S3 as if it were a local file system. There is no installation package for this and I don't see any indication it's been updated since August, 2011. You have to get it from the Github source repository. It's a fork of the S3FS FUSE utility which is another such FUSE system. There is also S3Backer which is yet another such utility. There's also FileZoomer, a Java tool for Windows and Mac for working with S3. And finally there is S3 Browser, which appears to be a very complete S3 utility for Windows, which also comes in portable edition. It is free for personal use and there is a pro edition for business use. Wow!!! That's an absolutely staggering roundup, Richard! Have you ever thought about writing for a tech blog? :) Or perhaps you already do? As one of those "Grandfathered in" at 25 GB, I really want to like SkyDrive, but its performance is so poor, I can't see myself switching from Dropbox at this time. I plopped a small (<1k) text file into Skydrive on my Windows 7 machine, and it spent more than 10 minutes "processing changes." I next copied the same file to Dropbox, and it was so quick, I barely noticed the tray icon change, and that difference is not the number of files, or total storage in use. I have many times more files (and more Gigabytes) stored in Dropbox. At first, I was stunned, because you'd think that Microsoft, with their access to the lowest levels of Windows, would have easily out-integrated a third party. But then I got to wondering if Dropbox perhaps has some patents on their folder syncing that the others can't touch? I believe that's not the case -- we would've heard about it by now if there were patent wars involved. whats the use of getting the same data on three different places? just you are copying your files to three different data locations and losing most of the cloud storage space. - My 25GB (thanks MS) skydrive is for syncing my 18GB documents folder. For some reason it's not very fast, but totally fine for document + ability for online editing. - Dropbox & GDrive for quick file transfer between mobile device & PC, folder sharing with people. Forgot to say, the skydrive purpose mainly for backup. Now I don't have to remind myself to manually sync backup document everymonth :) in case something happen to my laptop. I lost some stuff before so I'm scared. Yup, it's a huge drawback really. But I find that for some files, I don't mind not having Android access. - I can delete/copy/move files directly between Lan PC, Skydrive, Drive, Dropbox, Picasa albums, Local SD, android system root. - Free app, free root access. - Fast & powerful picture viewer, I can swipe to view pictures continuously from a skydrive folder for example. - The interface make use of dual panel for easy copy/move file between locations. - Make sure to customize the button to show Home button, I feel it's much faster to jump back to home view/parent folder then go to a new location instead of using scroll bar. - Also check out the 2 swiping mechanism to swap panel. The "alternative way" works better for me because it does not misjudge my up down scrolling to sideway. Woah, that's intense -- doesn't it cause issues? Like, file locking, or sync messups, or versioning problems? For example, what happens when you restore a previous file version using Dropbox? Personally though, unless I eventually start using the space I have there a lot more than I am currently, accessing it through ES File Explorer works well enough without adding any additional overhead. Same goes for Box and I'm even considering the same route for Dropbox since I have a ton of space in Google Drive and it is baked into Android and Chrome OS.